We all know that Reliance Jio is all set to launch feature phones with VoLTE support soon. We managed to get hold of the first image of the feature phone that is launching soon for Rs. 1299. As you can see from the image, the phone has shortcut keys for MyJio, Jio Live TV, Jio video and Jio Music below the display. 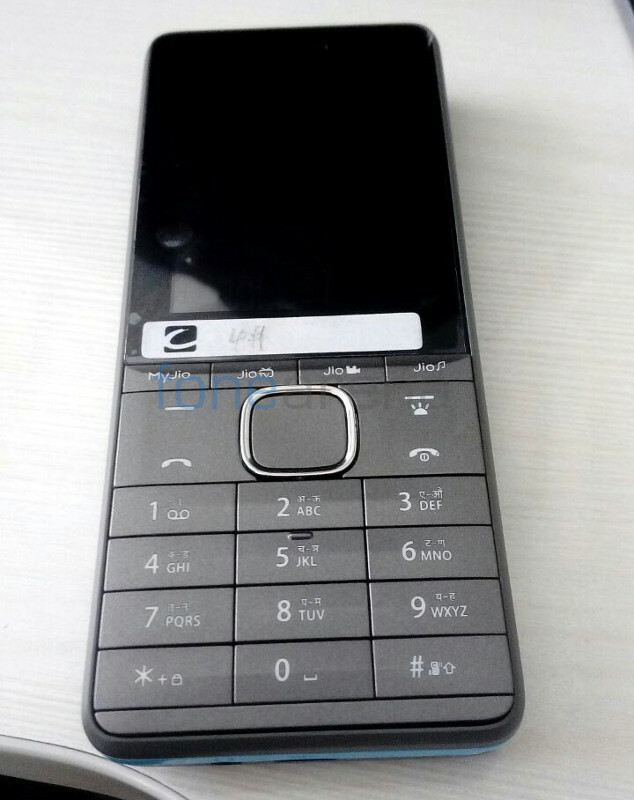 The phone has T9 keypad and D-pad in the middle, just like any other feature phone and doesn’t have a touchscreen. It also has a dedicated button for torchlight. Maker of this feature phone is not known yet. Currently we don’t have any specifications of the phone. According to recent reports, Jio will launch these VoLTE-enabled feature phones starting at Rs. 999 that will run on Android operating system. Earlier reports said that capability to make VoLTE calls in these feature phones will be enabled by Spreadtrum chips, and Jio is in talks with Qualcomm and MediaTek. Since Jio plans start as low as Rs. 149 per month offering unlimited calls, this will be useful for those who make a lot of calls and need a cheap phone with a keypad. We should know more details about more upcoming VoLTE-enabled feature phones from Jio soon.